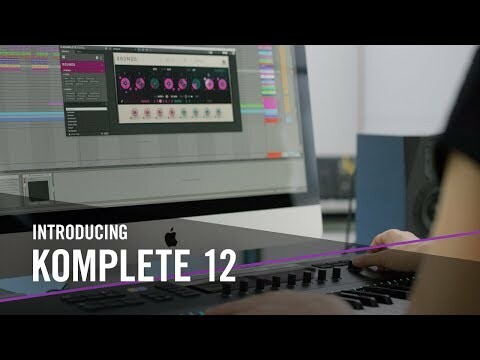 This convenient bundle puts the full power of Komplete 12 Standard in your hands when purchased with Native Instruments Maschine Jam. D.. This convenient bundle puts the full power of Komplete 12 Standard in your hands when purchased with Native Instruments Maschine Jam. Designed to work hand-in-hand, Jam's tactile control surface unlocks the full potential of Komplete plug-ins with a seamless integration on any DAW. With a built in 8x8 backlit LED trigger pad matrix, Smart Strips, intuitive FX Control and full KOMPLETE Plug-In support, Maschine Jam is a tactile new USB control surface for step sequencing and track building with any DAW. From now until the end of April, every purchase of a Maschine hardware product comes with FREE expansions. That's right; when you buy a Maschine Mikro or Maschine JAM you can download 3 expansions of your choice - normally worth £132 - absolutely free! This offer is only running until the end of April 2019 so make sure you buy now to avoid missing out on these free expansions. 8 touch-ribbon Smart Strips (as featured on Native's Komplete Kontrol Keyboards!) allow for unique composition and sound design possibilities. Tweak up to 8 parameters or play melodies and chords in creative new ways. A new Perform FX feature lets you shape your sound in new ways, with control of up to 8 sounds simultaneously. LED feedback for master volume and each channel strip ensure you always know where you are. An 8x8 Multicolour Click-Pad Matrix offers tactile control for step sequencing, note input and drum triggering. Ableton Live users will be familiar with the layout for triggering audio samples, melodies and using it as a fully-featured control surface for DJ'ing or performing live. 8 Pad banks allow for instant sound expansion at your fingertips. 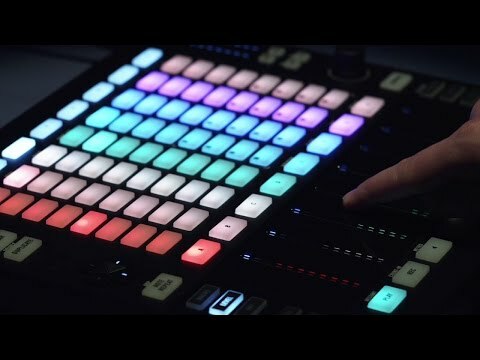 As with all Native Instruments MIDI controllers, Maschine Jam has been designed to remove the hassle of traditional controller set-ups and unify software with hardware. Jam works seamlessly with any DAW, the MASCHINE and KOMPLETE product ranges, and NKS-ready plug-ins. A touch-sensitive encoder prompts your DAW to display the corresponding parameter, so you're always in control. An included stand can be mounted to the hardware for improved ergonomics in a tight DJ booth or studio production set-up. Maschine Jam comes bundled with Maschine 2.5 (latest version) for access to over 9GB of factory sounds straight out the box. For beatmakers, composers and electronic musicians, Maschine serves as a great standalone software title or can be used as a step sequencer for creating patterns inside Ableton, Logic, FL Studio or Cubase.